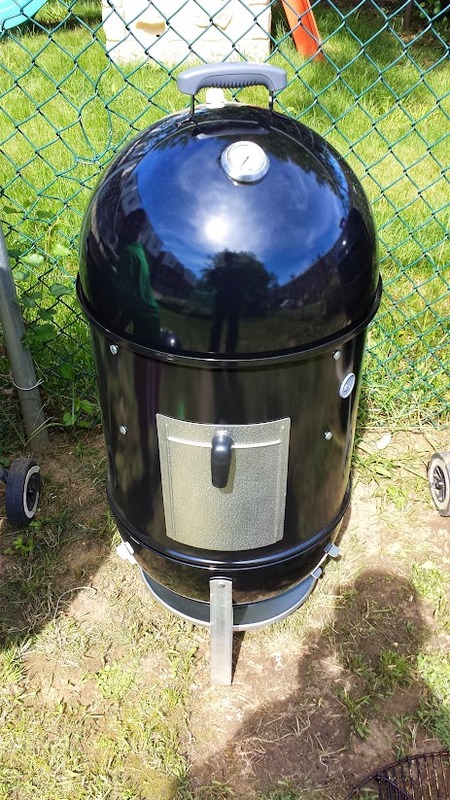 This year for my anniversary, I got an 18″ Weber Smokey Mountain Smoker. I’ve been wanting one of these for years. 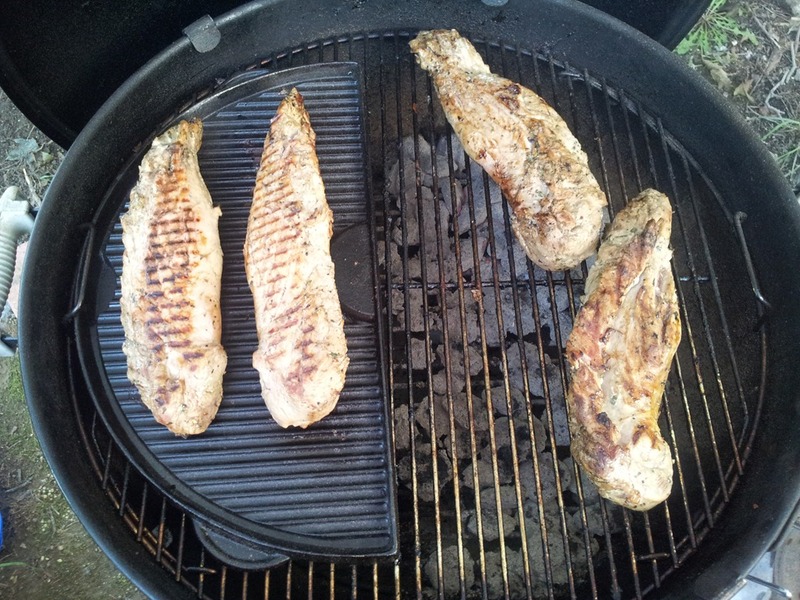 Now I can really try my hand at some long smokes without the fiddling and coaxing I usually have to do with my 22.5″ Weber grill. Man I can’t wait to fire up some meat! I first saw this tool pictured in Adam Perry Lang’s BBQ25 Cookbook. 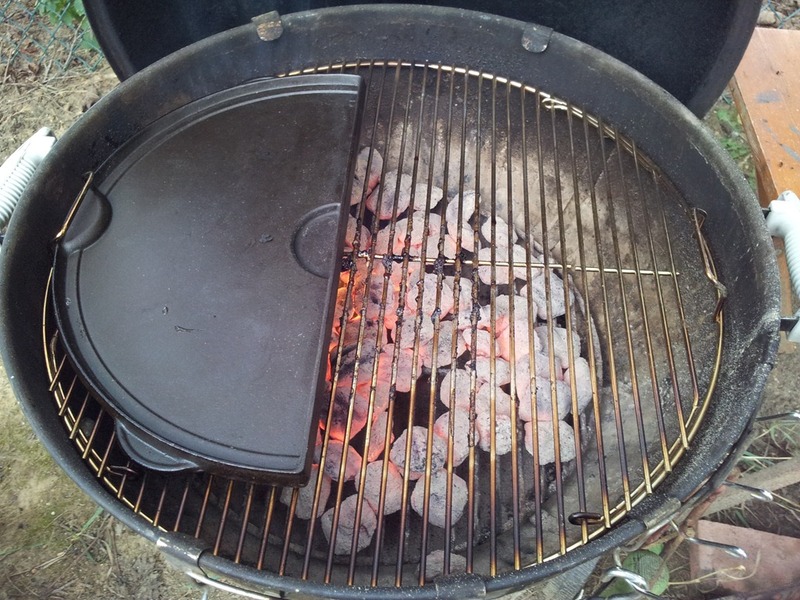 Below is a picture of the griddle on my Weber One Touch Gold. The Griddle is actually made by the Big Green Egg Company. I found one on Ebay for sale and quickly ordered it. I love this tool! WHY DOESN’T WEBER MAKE THIS?! As you can see below the half moon doesn’t fit exactly. But it’s close enough, and works so much better than trying to use circular cast iron frying pans or griddles on the grill. Until Weber wakes up and makes one that fits 50% of the surface area. I’m using this! 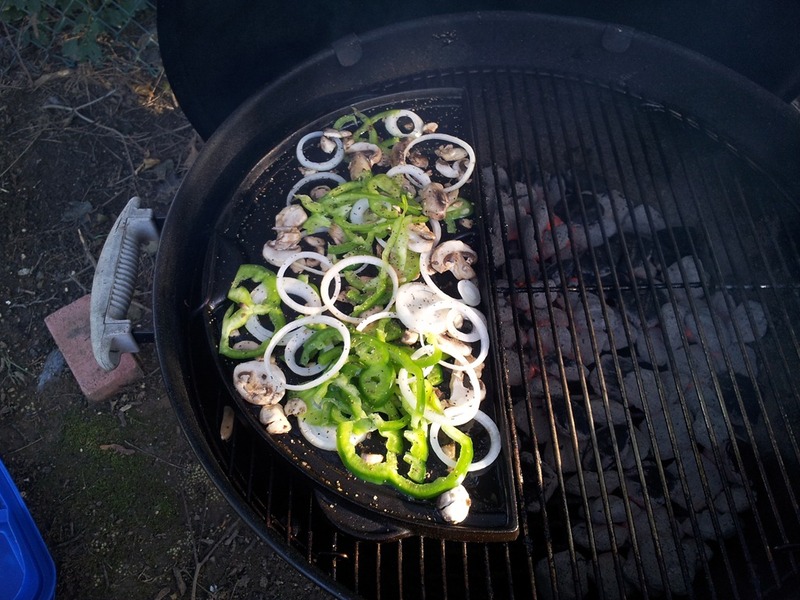 Flat Side: Perfect for sautéing vegetables, blackening chicken or fish. Raised Grill Side: Perfect for grill marks, and giving a place for your meat to hide from flames. If you got a Weber One-Touch, do yourself a favor and find one of these. You won’t be disappointed.